RSF Local 4349 Firefighters would like to congratulate this years recent promoted members. Brian Ciuchta is one of Local 4349's most fit employees. In an attempt to meet his nutritional needs for the ultra marathons he competes in, he has been experimenting with growing Microgreens. According to the U.S. Department of Agriculture “microgreens” is a marketing term referring to tiny, edible greens grown from the seeds of vegetables and herbs. They’re smaller than baby greens and bigger than sprouts. Microgreens germinate in soil or soil substitute, require sunlight for growth and are harvested when they’re 7 to 14 days old and one to three inches tall. Their flavor is much more intense than that of mature greens. You can add them to salads or use them to garnish soups and sandwiches. So is Brian on to something or is this just an unsubstantiated health claim? Actually, microgreens do appear to have a significant nutritional advantage. A study from the USDA’s Agricultural Research Service (ARS) found that, at equal weights, almost all of the tiny greens contained about five times more nutrients than found in the mature leaves of the same plants. Buying and using your microgreens can sometimes be difficult. Commercially produced varieties found in your local store are stored in plastic containers that do not allow for extended shelf life. The best way to buy your greens is either alive or freshly cut. Well, visitors to the Fairbanks Ranch Farmer's Market on Sunday mornings are in luck. Our very own Local 4349's "microgreen expert" is on hand selling his nutritional gold. So head on down this Sunday, look for the High Ranch Farm booth, and get a taste of this new healthy trend! Rancho Santa Fe Local 4349 Firefighter's Richard LaFleur and Haydne Shimer construct a training dollhouse. During the first year of a new firefighter's career, they are instructed to build a small version of a house. We then ignite a fire in the lower room and examine how the fire behaves, where the smoke travels, and when the conditions could become dangerous. By controlling the air flow into the fire, these firefighters can simulate backdraft situations where smoke and fire explode out of an open door. By training in this manner, we avoid putting our firefighters in harms way but are still able to learn in a real fire environment. 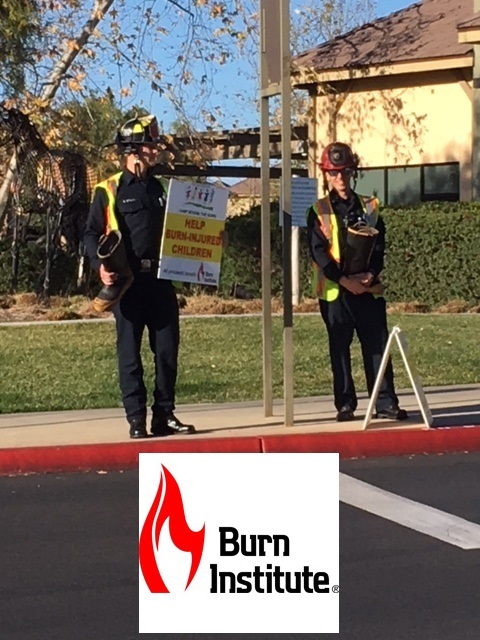 Each year the Local 4349 participate in a Boot Drive to raise money to send burn injured children to camp. 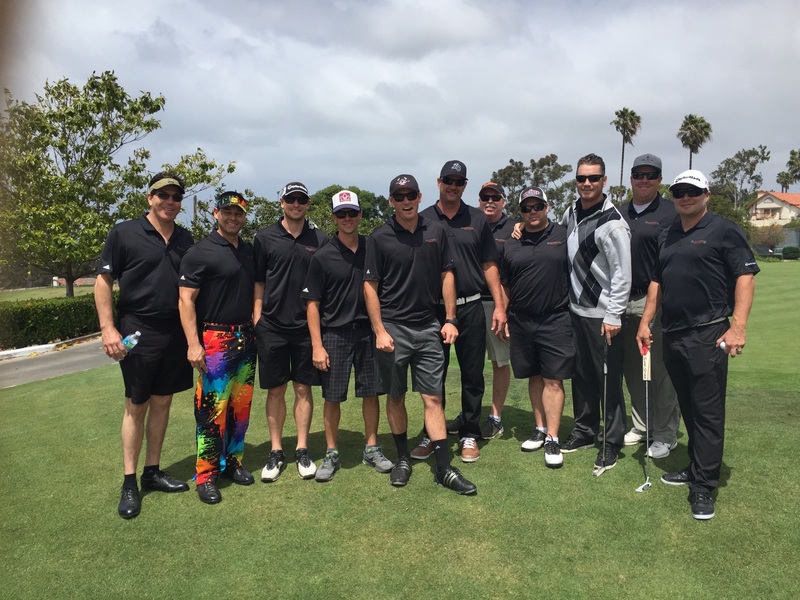 This year, Rancho Santa Fe Firefighters raised over $14,000 for this amazing organization. Thank you for all who participated. Local 4349 welcomes Haydne Shimer, Justin Cloyd, Richard LaFleur, Sam Stamy, and Robert Scott. Good luck on probation! A recent article posted by KTLA in Los Angeles reported that three Los Angeles firefighters earned a combined $1.36 Million in 2016. The top earner receiving $469,198 in which $334,655 was from working overtime. You may be asking; “How could firefighter make so much money; and why can’t that happen to me?” The details of what is required would turn your wildest dream into your biggest nightmare. Every few years some news agencies like to post some public employee’s annual income simply for the shock factor. Unfortunately, the articles never really paint a good picture of what is actually going on with that statistic. I’d like to shed some light on this reality. Do you work 40 hours a week at your job? Would you be willing to work a 56 hour work week? How about a 156 hour work week? If you are doing the math in your head, let me save you the time. There are 168 hours in a week. While the average American employee works 40 hours a week, firefighters work 56 hours. This fire Captain mentioned in the article, estimated on the amount of overtime income received, worked, on average, 156 hours each week. That equates to 11 hours off from work each week for a total of 22 days off during the 2016 year. While 8 hours of straight work is normal for most, some private sector employees may push it to 10 hours to earn a little extra or have every other Friday off. Firefighters work 24 hour shifts where the busiest units run in upwards of 20 plus calls for service within a 24 hour period. There is not much of a chance to catch more than 30 minutes sleep at any one time. We don’t know where this Captain was stationed and we don’t know how busy his unit was, but even a moderate to low volume of calls would have been exhausting. Overtime in the fire service is necessary and unavoidable. Most public sector employees can use a sick day or take a vacation with only the burden of postponing meetings and setting up an automatic “Out of the office” reply on their email. Often, no one is needed to fill in for them. In the business of Emergency Services, an empty seat, caused by a sick employee, would require that a fire engine goes out of service. That could be life threatening if a fire engine or ambulance took an extra 10-20 minutes to get to your house in the event of a fire or medical aid. 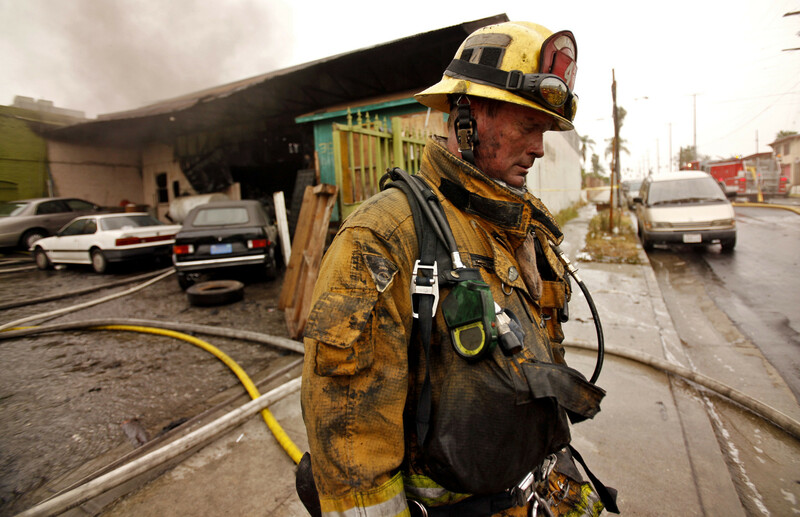 In the case of LAFD, currently there are 244 unfilled firefighting positions left open to fill. That’s like 81 employees calling in sick every single day on top of those who actually are sick or are on vacation. Firefighters are often held at work and not allowed to go home, without a choice, for 5-7 days in a row. These can be brutal stretches of constant work. People also overlook the psychological effects of working so much. Families struggle from being apart. Holidays spent working, children’s dance recitals and baseball games missed, along with stressed marriages can make life difficult. A firefighter that works even a moderate amount of overtime would require the absolute support from his, or her, family to the extent of the spouse not being able have their own employment. Most salaries discovered on sites like Transparent California, often reflect a “household” income and not just one employee. Furthermore, a lack of sleep, strenuous labor, dealing with situations that would send most into PTSD, all for chance to earn $400K? That’s just not worth it. The question is, what is a firefighter worth? How much should it cost to make sure that every time you pick up that phone and dial 911, someone comes to your aid? Would it have been better for these overtime hours to be spread out among the LAFD workforce? At least that way news agencies wouldn’t be able to post some shocking article on an employee’s annual income to enrage the general public. Either way, to keep the services available that we all count on, fire departments should maintain full staffing as to not impact the physical and mental wellbeing of their employees and continue to fill any and all vacancies with any firefighter willing to serve. The Local 4349 would like to welcome to the District 3 new employees! (Left to Right) Chase Cantrell, Jake Barkhimer, and Alex Trottier. 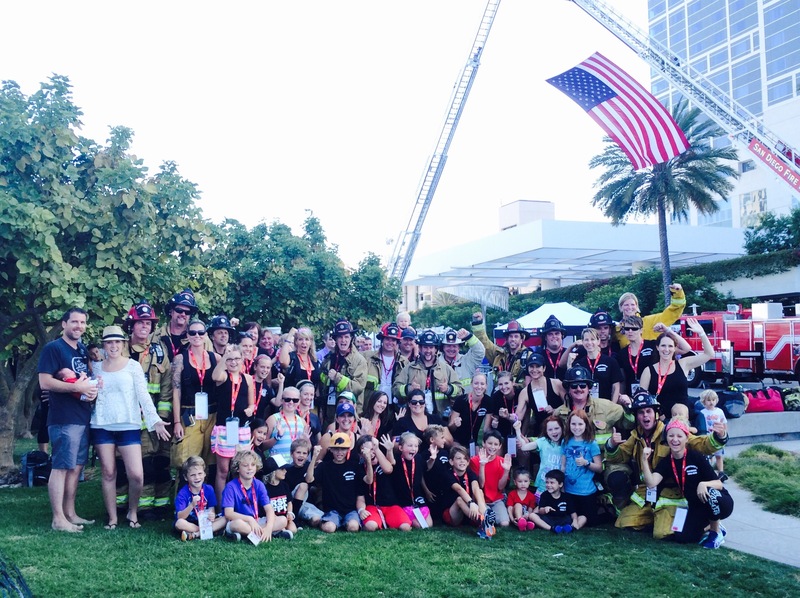 IAFF Local 4349 has its best year yet in collecting donations for the San Diego Burn Institute. Drivers traveling through Rancho Santa Fe, 4S Ranch, and Harmony Grove were generous to the tune of nearly $25,000. All donations, as usual, go to the Burn Institute's "Camp Beyond the Scars" in an effort to support burn-injured children of San Diego. RSF Fire, the Burn Institute and the children thank you. 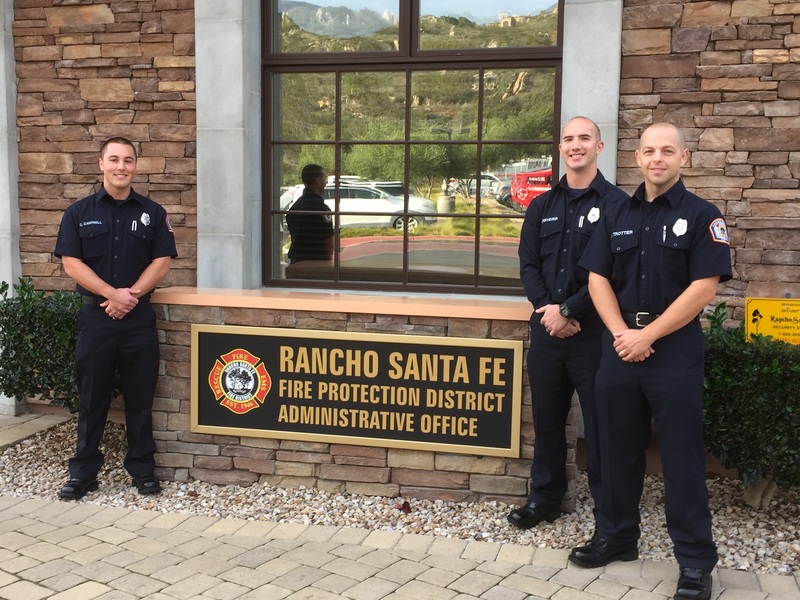 Beginning on January 1st, 2016, the Rancho Santa Fe Fire Protection District has assumed fire protection for the area of Harmony Grove under a contractual agreement with the County of San Diego. A LAFCO study should be completed by mid-year making official the annexation. 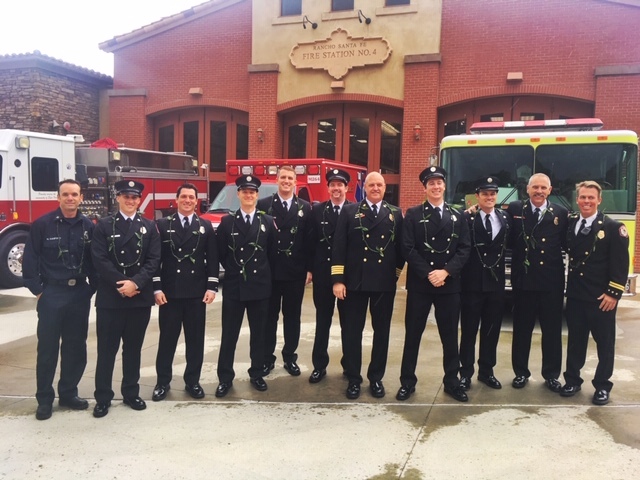 In addition to this 5th station, the Rancho Santa Fe Fire Protection District will be merging with Elfin Forest Fire Department to make the current EFF volunteer station, station number 6. The current Station 5 in Harmony Grove is a temporary station at 2604 Overlook Point Road in Escondido near the entrance of the HGV development. We at the Local 4349 are excited to provide our excellent customer service and fire protection for the new residents of Harmony Grove and surrounding areas. 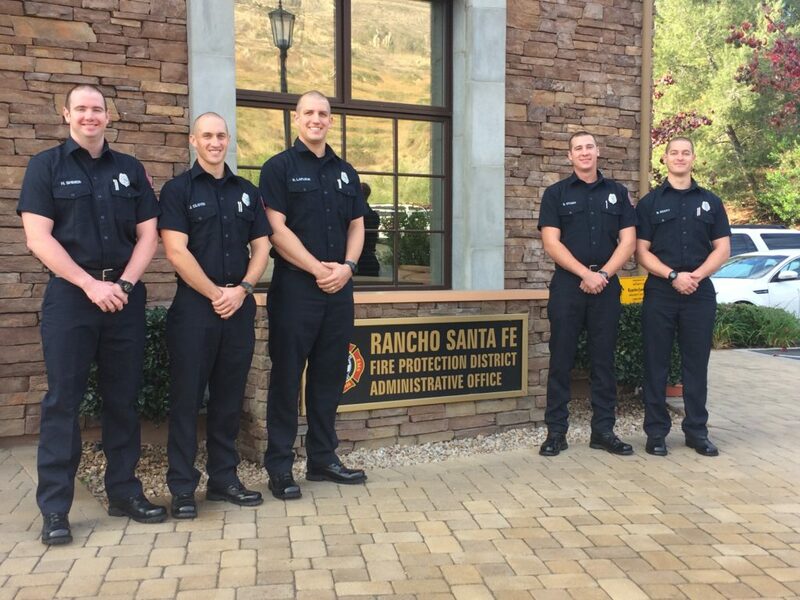 Rancho Santa Fe firefighters are proud to serve. We serve residents. We serve businesses. We even serve pancakes! 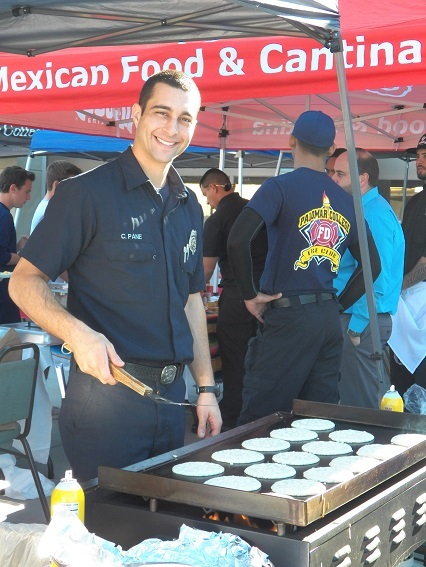 On Sunday November 8th, the Local 4349, in conjunction with the Rancho Santa Fe Fire Protection District, host our most successful pancake breakfast of all time. 800 - 1000 people attended raising over $4000 for charity. In addition to pancakes donated by Ralphs grocery store, Miguel’s Cocina donated and served eggs and nachos, State Farm donated and poured orange juice, Coffee Bean and Tea Leaf provided gallons of coffee, and Maranatha Chapel provided tables and chairs. Without the generous support from these local 4S Ranch businesses, this would not have been possible. 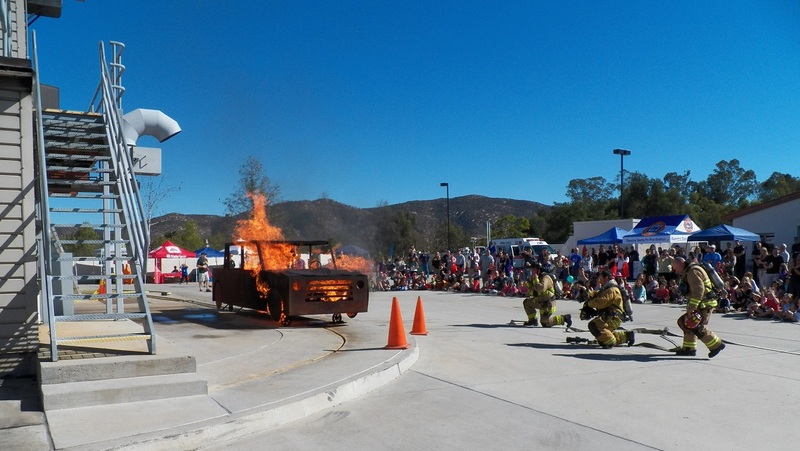 Rancho Santa Fe firefighters were on display with an exciting car fire extinguishing demonstration, fire engine display, fire prevention booths, and hands only CPR training. 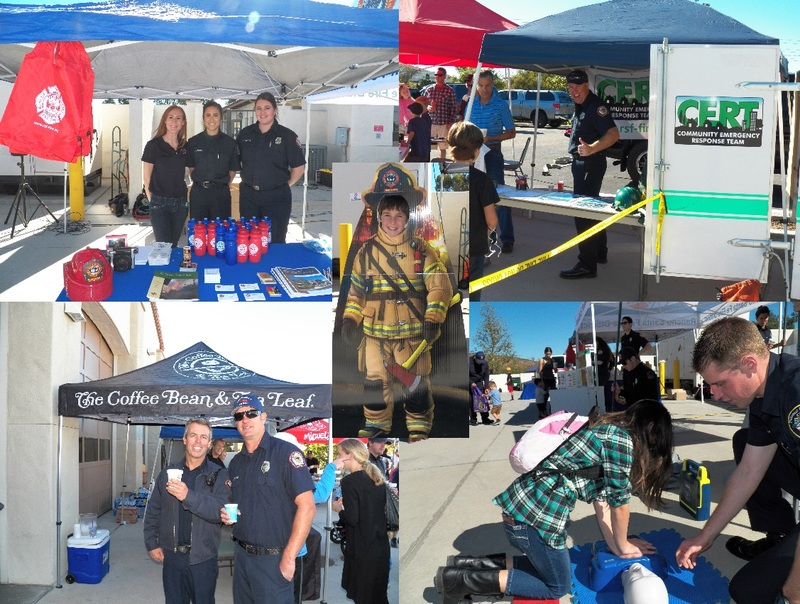 Other booths from the Burn Institute, 4S Ranch Library, and Union pool safety further educated the attendees. 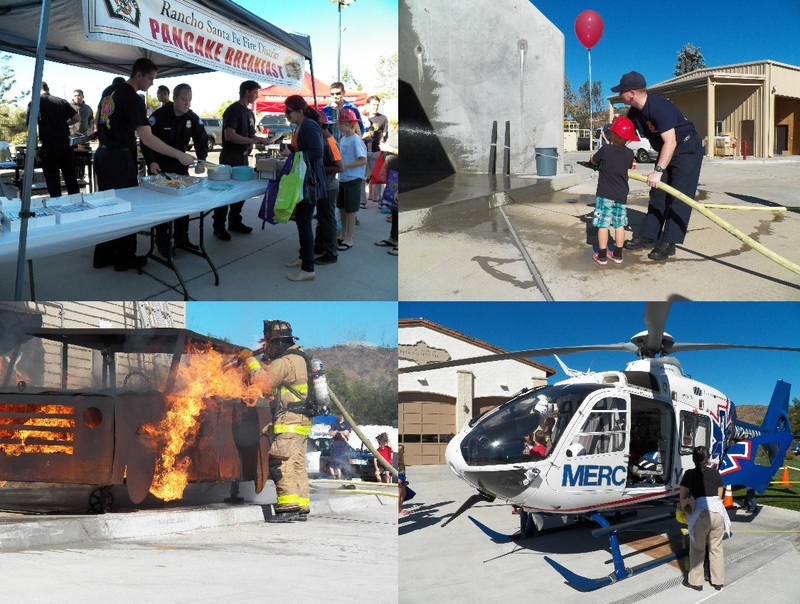 The San Diego Sheriff, California Highway Patrol, Elfin Forrest Fire, American Medical Response, Mercy Air, and Palomar College all pitched in to provide exhibits and education to the residents of 4S Ranch. We at the Local 4349 Firefighters Union would like to say thank you for making our event a resounding success. It has been, and will be in the future, a pleasure to serve this amazing community. We look forward to possibly hosting another event like this next year! 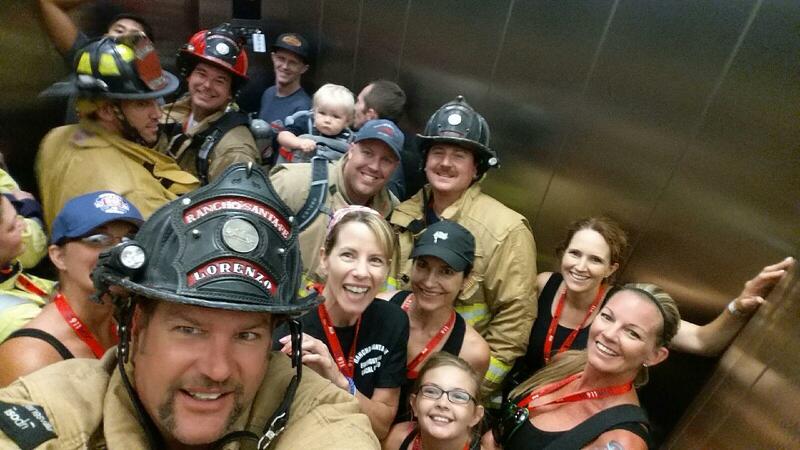 On Saturday September 5th, the Local 4349 took to the steps for charity. 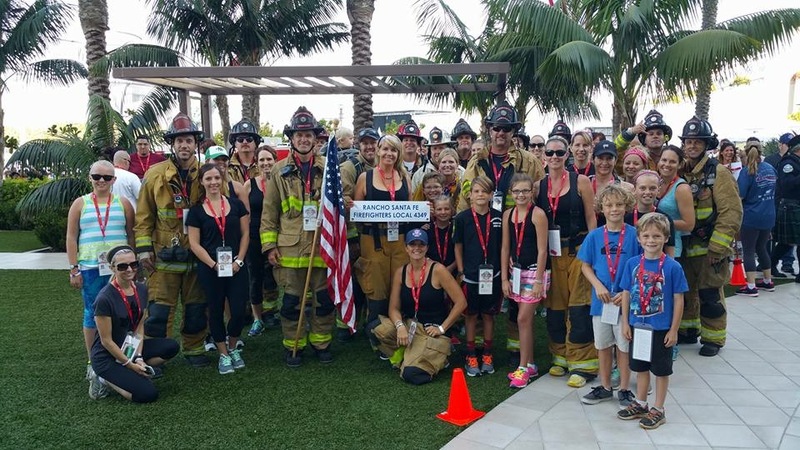 The 9/11 Memorial Stair Climb is an event where firefighters and first responders don their gear and climb 110 stories of the Hilton Bayfront Hotel in memory of the 403 emergency workers who lost their lives on 9/11/2001. The Local 4349 raised $10,500 for Firefighter Aid and it was the 2nd most money raised by the 25 teams. 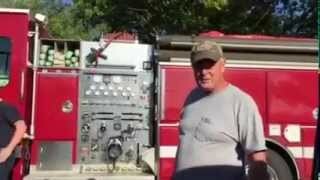 A recent video on the internet portraying a Butte County Fire Company being heckled by a citizen for shopping for groceries brings forth an interesting issue. The debate ranges in topic from area emergency coverage, public impression, and firefighter work schedules. The Butte County firefighters were respectful and cordial in this face of opposition and all was caught on tape by a pro-firefighter bystander. The heckler in the video confronts the firefighters at a local grocery store as they are returning to their fire engine after shopping for food. He goes on to state that the engine crew should do their shopping at a specialty high-end grocery store that is closer to the fire station so that they can respond to calls faster. This man making these remarks fails to grasp the entirety of the facts as he threatens to file a complaint with the local governing board. From my own experience with the residents I speak to, many don’t realize that we work twenty four hour shift work. That means we arrive at work in the morning at 8am and leave the next day, twenty four hours later, at 8am. It seems obvious that packing a mere lunch would not suffice for the entire shift. In addition, our kitchen is the size of a normal residential kitchen equipped with one range top, oven, microwave and sink. Often these stations house multiple fire units and companies to run them in upwards of 8-12 personnel. Imagine the confusion and lack of space there would be in a kitchen having that many people trying to prepare their own meal at the same time. That is why most full-time fire stations across the country organize their meals by participating in a common mess. That means that each person pays into a meal fund and a few guys cook for the masses. When I tell residents that we purchase our own food on our dime, they often reveal that they thought the tax payers paid the bill if they expected the firefighters to be there twenty four hours a day, seven days a week. I’ve heard stories about firefighters being heckled for buying steaks at the grocery store because it was perceived that taxes were paying for those steaks and firefighters should be eating cheaper. The truth is, we by our own food and it is often more expensive to eat at work than at home. I can see why the Butte County firefighters bypass a specialty grocery store to opt for an affordable store a little farther away. After all, we are just firefighters, earning a modest wage, often on a single income due to our commitment, and trying to make our money stretch. Emergency coverage is taken very seriously by every emergency responder agency across this country. Often units are moved, or staged, in areas to maintain coverage for when a unit is out of service due to mechanical issues, training, or commitment on another emergency. It is unlikely that a unit, in this case Engine 64 of Butte County, would leave their response area to shop without providing for some coverage. Often the grocery stores fire engines visit while on duty are within their first-in areas, but if not, managers make sure that stations are covered by other units if need be. The grocery store may not be the only place you may encounter firefighters out of the station. Fire agencies often rely on fire companies to conduct annual fire inspections in commercial buildings, including the grocery store they are also shopping at. Firefighters make an easy target for some disgruntled members of the public that don’t approve of how their tax dollars are spent. Much like the often ridiculed traffic sign holding road worker, each person has a job to do and without that one person the team breaks down and efficiency is lost or, in our case, lives are put in danger. The importance for a person to “Stand-by” for an emergency is rarely seen until the need arises. The fire service has changed throughout the last hundred years but the premise is still the same. Protect life, property, and the environment from the threat of any disaster and to respond to the needs of the citizens we serve in the most efficient, timely, and fiscally responsible manner possible. It is a shame that some people’s negative rants are aimed at the same people who have sworn to protect them. However, these attitudes are rare, especially in Rancho Santa Fe, and we are more likely to be greeted and thanked while in the grocery store than heckled for being there, and for that, we thank you for your support. It was nice and sunny the day Captain Greg Rainville and his wife decided to visit the San Diego Zoo. As they pulled into the parking lot, they noticed a commotion over on the sidewalk. As they approached, they saw a man unconscious on the ground. 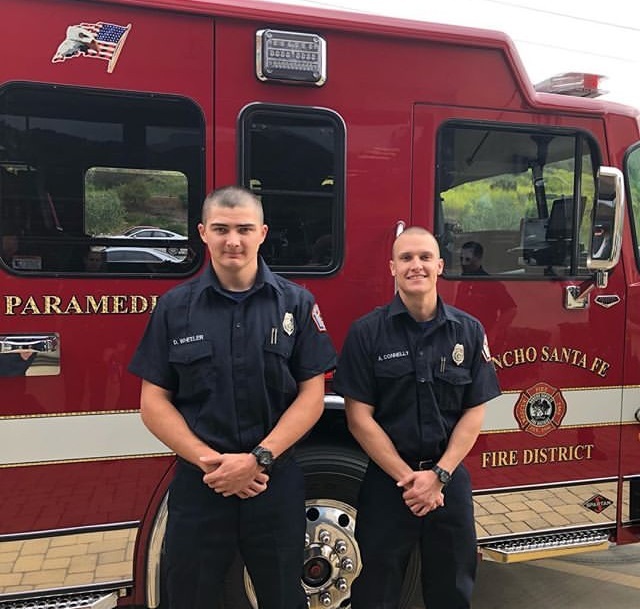 Emergency situations were not unusual for this twenty four year veteran of the Rancho Santa Fe Fire Protection District so he jumped right in. Rainville began chest compressions immediately when he discovered that the man had no pulse. In the end, that man was given another chance at life due to Rainville’s actions. Had he not noticed the group and commotion, there would have been no way to know that there was someone in the area that needed help. A new app from Phyisio Control solves this problem. 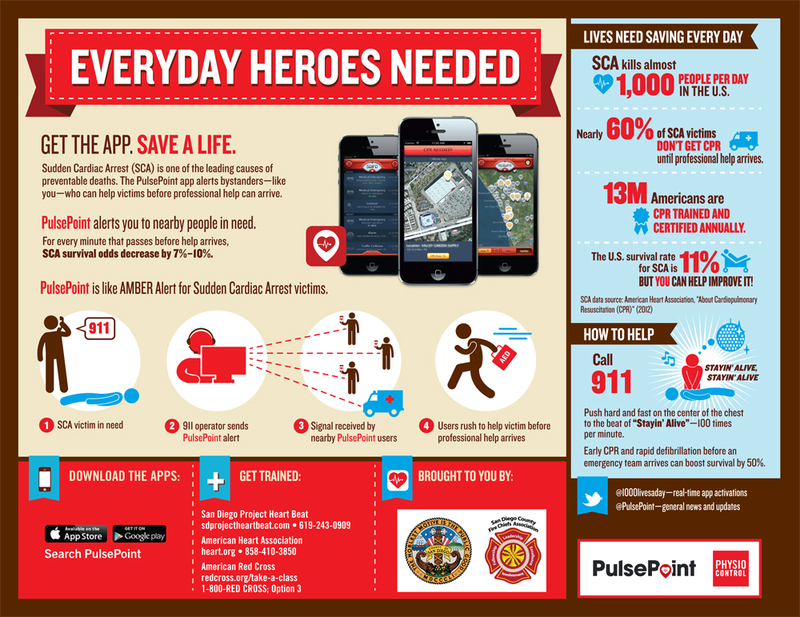 With it installed on ones’ smartphone, potential CPR trained individuals would be notified of a cardiac arrest near them and be able to respond in order to provide life saving measures. The app works with the iOS and can be downloaded from iTunes or Google play for the Android market. Local 4349 takes delivery of its new custom built, 550 HP, rear mounted pump, fire engine. The color of the engine, "Red", represents the current direction of the look of all future apparatus here in Rancho Santa Fe. 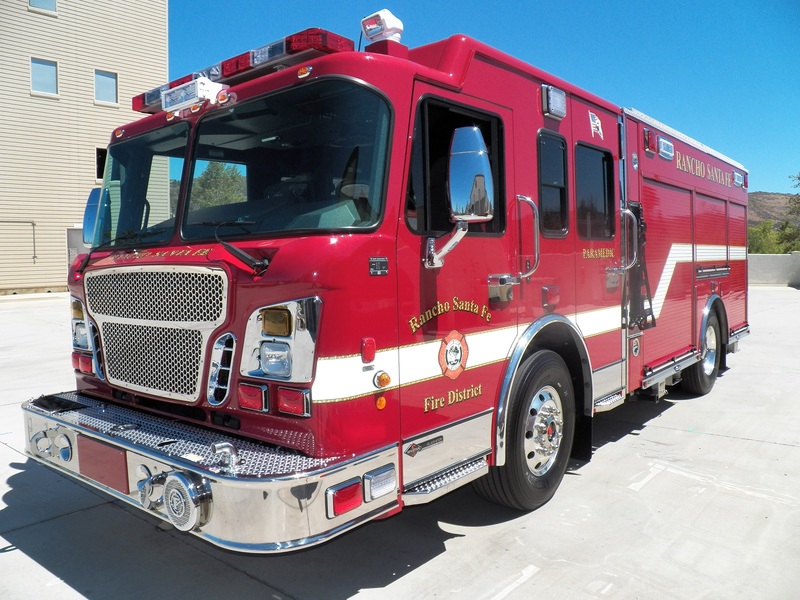 This fire engine will be replacing the one currently covering the 4S Ranch area from Station number two and will be in service sometime within the next two to three months as customization and outfitting procedures are completed. 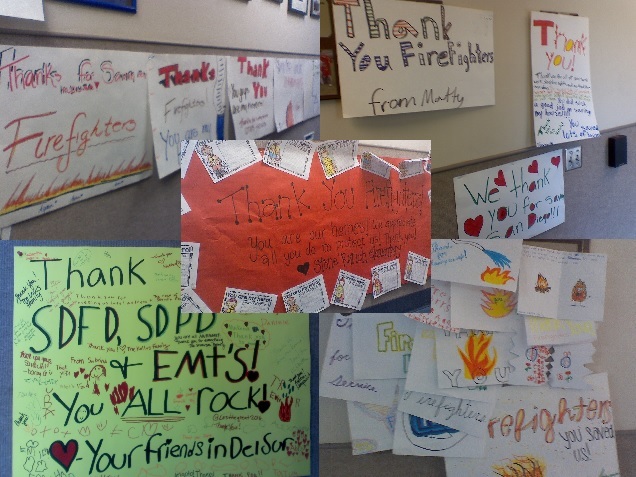 Words of praise weren't the only thing that showed up at the Rancho Santa Fe Fire Station on 4 Gee Road following the May 2014 Fire Storm that swept San Diego County. Dozens of vehicles and over a hundred people stopped by the station throughout the day to offer food, drinks, and snacks to the firefighters that have been busy battling the Bernardo and Cocos Fires. The Bernardo Fire raced through the San Diego community of Del Sur on Tuesday, but quick actions by the Local 4349 Firefighters, along with surrounding agencies, saved countless homes from the flames. Many of those who showed up were from that area and they could not thank us enough. We, Rancho Santa Fe Firefighters, are proud to serve these communities and feel even more grateful when we see the support of families gathering and donating much needed supplies.